Consider yourself lucky — or perhaps overdue — if you’re an adult who has never been in a car accident. 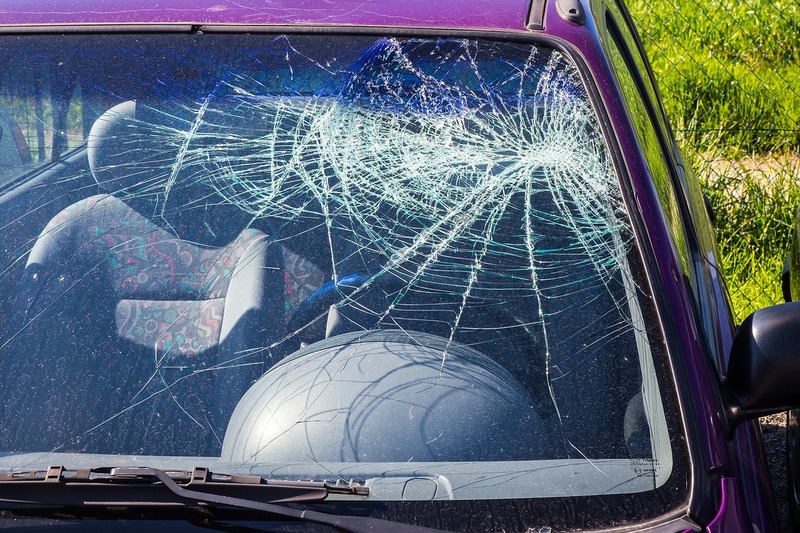 Consider that in 2015 alone, more than 2.4 million people were injured and nearly 35,000 people died in 6.2 million crashes nationwide, according to the National Highway Traffic Safety Administration. It follows that the Insurance Information Institute says the number and severity of automobile accidents has been on an uptick in recent years, and the consumer website carinsurance.com reports that adult drivers in the U.S. will file a car collision claim approximately once every 18 years. That means the average American will have three or four auto accidents in a lifetime. Consider yourself lucky — or perhaps overdue — if you’re an adult who has never been in a car accident. That means the average American will have three or four auto accidents in a lifetime. If there is a silver lining, it’s this: Most car collisions aren’t deadly. More than 90 people die in car accidents each day in the U.S.
Another three million are injured, with about two million of those experiencing long-term or permanent injuries. Wearing a seatbelt reduces your risk of death by 45% and your risk of serious injury by 50% yet among the total fatal accidents, 48.1% were not wearing a seat belt. The primary causes of accidents which result in a fatality include alcohol, speeding and reckless driving — the primary causes of accidents which do not result in a fatality include distracted driving and driving while fatigued. About nine people each day are killed as a result of distracted driving. You are 23 times as likely to crash if you text while driving. Driving while using a cell phone reduces the amount of brain activity associated with driving by a whopping 37%. To the extent possible, stay calm following your accident. Take a deep breath, check for injuries, and call an ambulance. Even if you think you are “fine,” it is a good idea to either let the ambulance transport you to the hospital or to immediately go see your physician. Accidents cause your body to be flooded with adrenaline, which can mask pain, yet once the adrenaline wears off, you may realize you were injured and you are not fine. If the accident is minor, and it will not put anyone in jeopardy to do so, move the cars involved in the accident to a safe place. Turn on hazard lights when necessary. Call the police. Even if your accident is minor, and even if the other party tries to persuade you to just “handle it among yourselves,” don’t skip this step! Without a police report, you may find it extremely difficult to convince your insurance company you were not at fault and to pay for your injuries and damages. Keep track of all medical expenses, including prescriptions, all doctor bills, chiropractic services, rehabilitative services, etc. Take photos of the scene of the accident, if you are able, including photos of the damage to both vehicles. If you are physically able, make notes as soon as possible about the accident. These notes should include the name, phone number, license plate number and insurance information about the other person, as well as witness contact information. Contact your insurance company as soon as possible after your accident. Give your insurance company the basic facts of the accident. If it turns out that you must file a civil claim to recoup your losses (medical expenses, damage to your vehicle, lost wages, etc. ), it can be very helpful to make a list of questions to ask a lawyer after your accident. Never admit responsibility for the accident, even if you think it might have been your fault, or even partially your fault. Even saying “I’m sorry” to the other party could potentially be misconstrued as an admission of fault, so avoid saying anything that could sound like you are saying the accident was your fault. Never sign any document without speaking to an attorney first. Never agree to allow the insurance company to record your conversation without speaking to an attorney (you are not required by law to allow your conversation to be recorded). Never, ever leave the scene of the accident, particularly when there are injuries, or you could face criminal charges for hit-and-run. Never discuss your accident on social media, and, in fact, don’t talk to anyone about the accident other than your own attorney, your own insurance company and the police. Avoid talking to a representative of another insurance company without discussing it with your own insurer and/or your attorney. Taking the right steps after a car accident can help keep you safe, and can ensure you will receive an equitable settlement for your injuries and damages to your vehicle. Knowing how to handle an automobile collision also can help you and your family remain calm during an otherwise stressful situation. Consumers also should know that they never have to manage a car accident alone. An experienced auto accident attorney will ensure your rights are protected, and that valuable evidence is not destroyed.